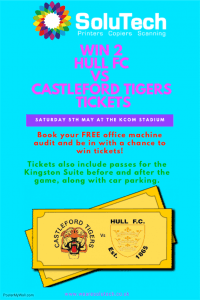 Want to be in with a chance to win 2 tickets for Hull FC vs. Castleford Tigers? 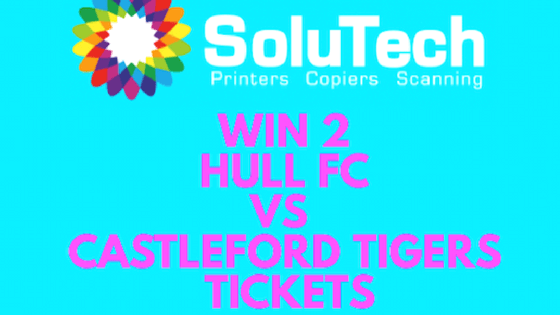 SoluTech, expert suppliers of Photocopiers, Printers and Scanners have 2 Hull FC vs. Castleford Tigers tickets (including Kingston Suite entry and parking passes) up for grabs! As proud sponsors of Hull FC Coach Lee Radford, SoluTech are delighted to give 2 lucky winners the chance to attend Hull FC’s match against Castleford Tigers on May 5th 2018 at 5pm. 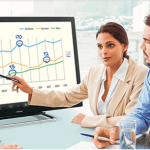 Simply book a FREE audit of your office printing/photocopying to be entered into the Prize Draw! 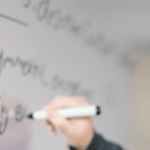 Whatever your requirements, you can depend on SoluTech to provide honest, expert advice – so you benefit from the right solutions to fit your business. Please Get In Touch with SoluTech to arrange an appointment or call our friendly team on 01482 846 746.